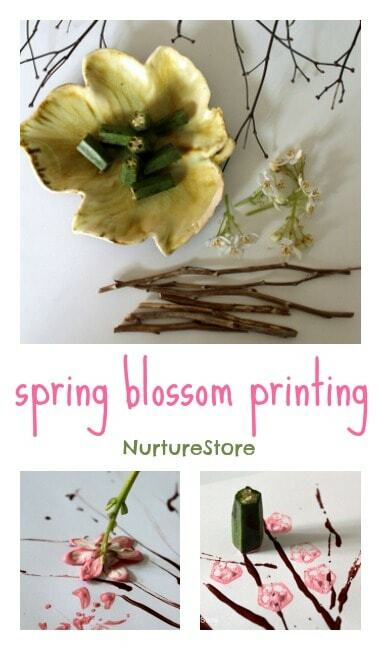 Here’s an idea for a spring blossom tree craft that uses natural materials for some sensory exploring and printing. Have you noticed any blossom on the trees yet? Where we live we see white hawthorn appearing along the hedgerows, and ornamental cherries along the streets. My younger daughter is in love with all the pink petals, and collects handfuls to bring home in her pockets. 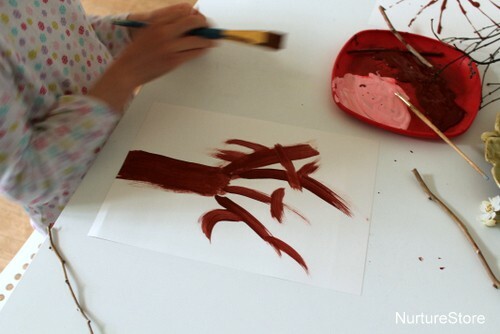 So, inspired by their interest, we took a few natural materials and had a go at painting and printing our own spring blossom trees. Cherry blossom is an important part of the culture of Japan, where the coming of spring is celebrated in the cherry blossom festivals. People will be watching out for the first signs of blossom, linking their year closely to the passing of the seasons. Hanami means flower viewing, and from the end of March to the beginning of May many people will enjoy going for walks to see the sakura, the cherry flowers, blooming across japan. Lots of families will have a hanami picnic, sitting under the cherry trees. You can see some of the hanami celebration in this video. 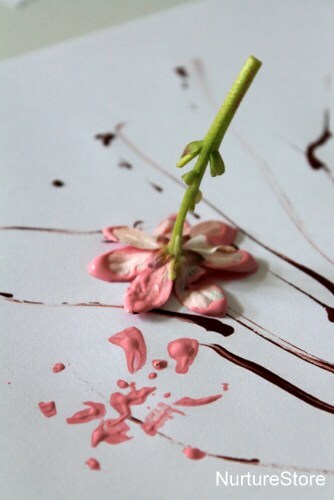 Let’s celebrate the transient beauty of spring ourselves today and make some blossom paintings. 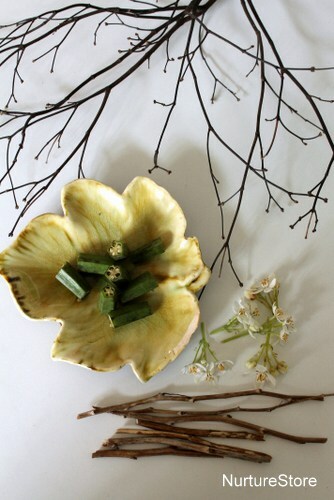 We used some twigs from the garden, a few blossom flowers and some pieces of okra. 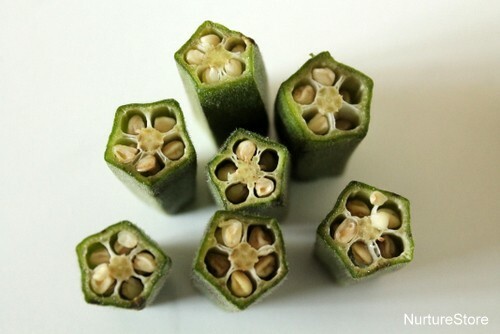 Did you know okra gives a great flower-like print when cut and dipped in paint? 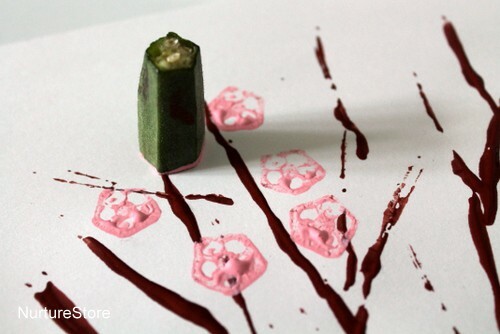 Perfect for this project – but finger prints would be a good alternative too. Then we experimented to see if we could make just the right shade of pink to match the trees in our neighbourhood. We discovered white and red make pink, and only a teeny, tiny bit of red is needed to make blossom pink. Everyone sat around together, and we were all aiming to paint a spring blossom tree, but there were no real rules about how to do it. Someone dipped the twigs in brown paint and used it to print the trunk and branches of the tree – just how they had looked through the winter. 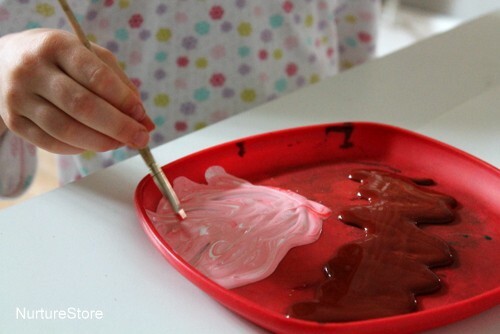 Someone else wanted to use a paint brush. 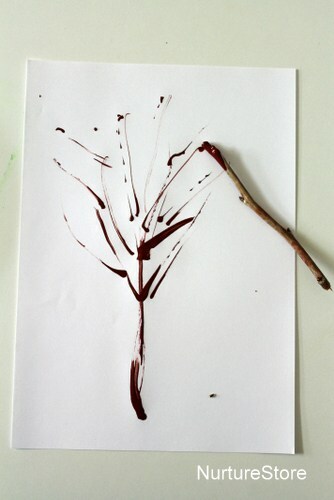 And someone else tried using a twig as a paint brush. Then we added our flowers, using the okra to print all over the branches, which made really clear flower shapes that the children loved. And we also tried printing with some blossom flowers, which gave a ‘frilly’ look to the trees. 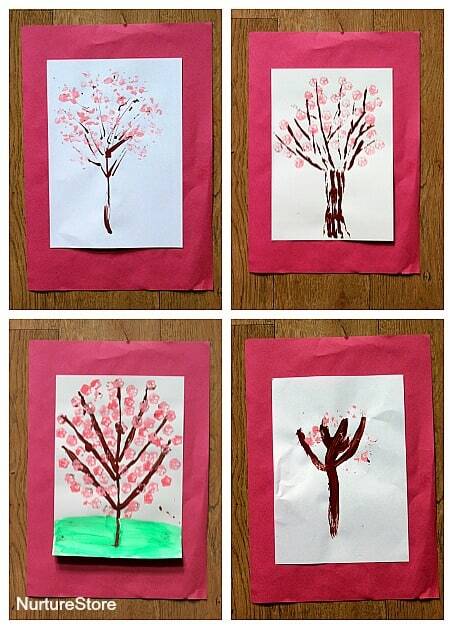 And we created our gallery of spring blossom tree art. All on a theme, but all different. 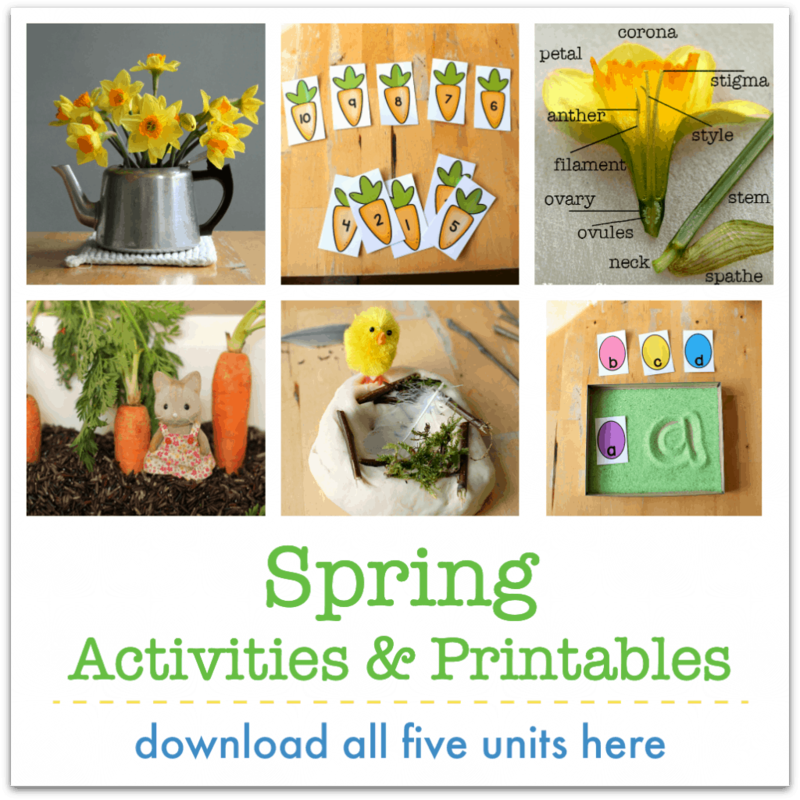 Thank you for sharing these lovely Spring crafts! 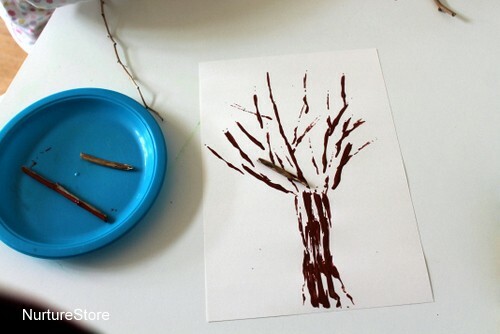 I’m always looking for new things to try with my kids and will certainly be giving the blossom tree a go. Blossom trees are my favourite thing about springtime! I’d love to see a picture of the ones your kids create Genna!